Volcanoes are one of the dangerous things created by nature. Active volcanoes can put a lot of fear in people’s mind. Erupting volcanoes can pose many hazards, not only in the immediate vicinity of the eruption. 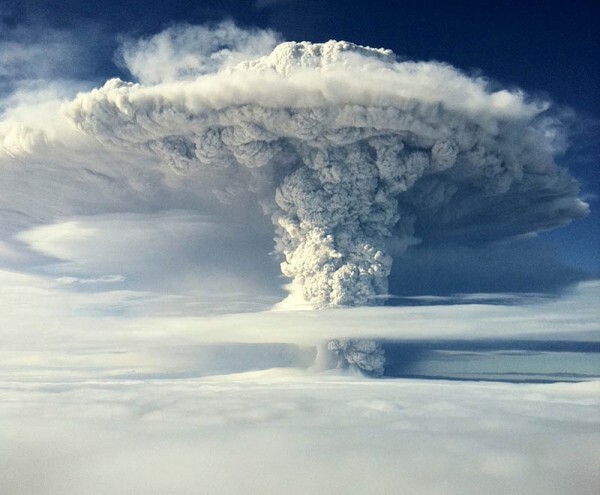 Volcanic ash can be a threat to aircraft, in particular those with jet engines where ash particles can be melted by the high operating temperature. Volcanoes are known to be the worst disasters put by nature. It’s not an easy job to save those disaster moments in your camera. But there are many photographers who take the risk and shoot volcanoes to show them to the world. In this post we have a collection of 20 amazing volcano photographs for you to have a look. We appreciate photographers who took these beautiful volcano eruptions by putting their lives at risk. Being at the right place and right time apply to shoot volcanoes. If you like this article, you might be interested in other articles on Dazzling Lightning Strikes and Storms Photography.